This is about as photo-realistic as it gets. 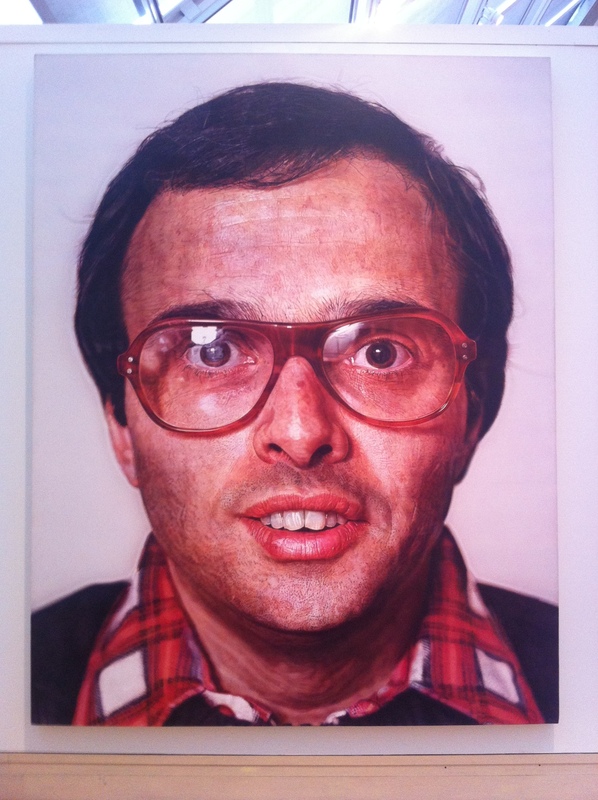 Chuck Close is an acrylic master. Currently on exhibit at the Met, here in New York City.